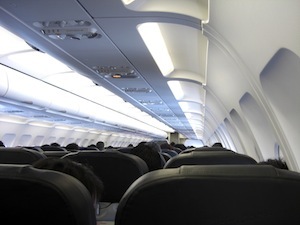 WERE YOU INJURED IN AN AIRLINE ACCIDENT OF ANY KIND? Airline travel is incredibly safe. Commercial airline travel, in fact, is considered safer than walking, and about as safe as riding an elevator. When you consider how many millions of people travel all over the world every day, that means that airline travel is incredibly safe. However, accidents do happen! When an accident does occur to a commercial airliner, it is NEWS! That is because when an airliner has an accident, it either affects, or could affect, many hundreds of people and their families, their acquaintances, their friends, etc. Thus, when an airplane goes down, it is truly newsworthy. Unfortunately, other accidents happen every day and they are just not newsworthy. 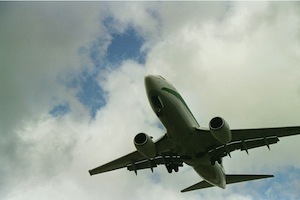 Attorneys Jo Ann Hoffman & Associates, P.A., have longstanding experience in dealing with commercial airline cases. Commercial airliners are called "common carriers," and there are United States Federal laws that govern the liability that they have to passengers. Common carriers also include commercial buses, trains, and other forms of mass transit such as our local Tri-Rail and Miami-Dade County, Broward County, and Palm Beach County Bus Services. Common Carrier accidents can be very complex because of the multitude of parties and the difficulty of establishing liability. We have experience in this field and we will make sure that you and your family are fully legally protected, and that your case receives the utmost of care and analysis. We serve as counselors to you and your family, and advocates as against any and all potential parties who are responsible for the accident. The dramatic crash of a commercial airliner creates massive injuries and possibly death to many of the passengers and crew. There are also less dramatic accidents such as getting struck by falling baggage, being thrown about during unannounced turbulence where the captain, the pilot or the copilot has not alerted passengers to remain seated. If you have any question, call us. We will do our best to aid and assist you through the entire process. We will investigate the cause of the accident and assist you in securing appropriate medical care.